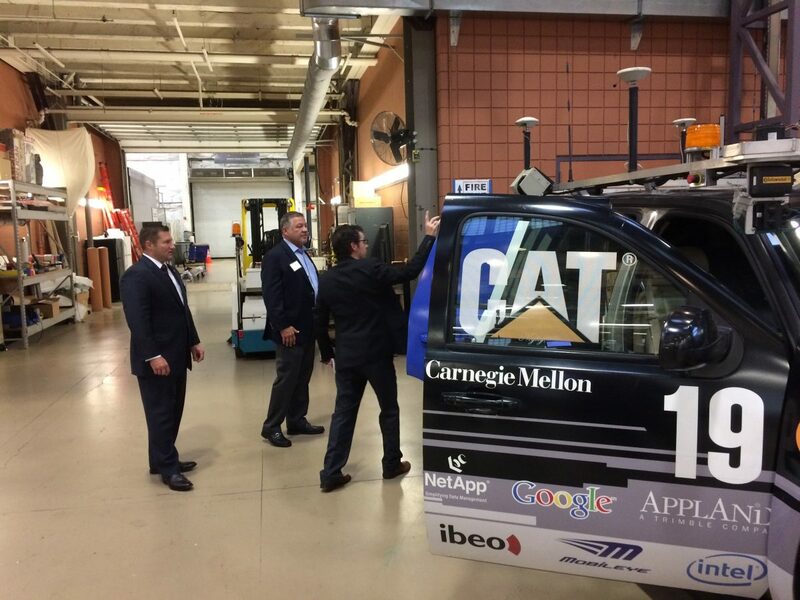 Congressman Bill Shuster, Chairman of the House Transportation and Infrastructure Committee and State Senator Guy Reschenthaler visited Carnegie Mellon University’s National Robotics Engineering Center for a tour and round table discussion with representatives from local autonomous and connected vehicle companies. Mobility21 UTC faculty member Chris Hendrickson moderated the discussion and Mobility21 UTC faculty member Steve Smith represented his spin off company Rapid Flow Technologies. Also participating was Raodbotics, another UTC spin off company.